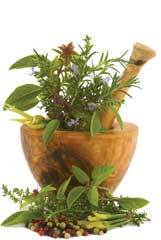 People have used herbs for healing and health maintenance since we have been on the planet. Our lineage as people on this Earth is to understand how to work with the healing plants in a respectful and useful way. Seventy-five percent of the world's population relies primarily on plant based medicines for their health care support. Many countries have alternative medicine protocols incorporated into their standard medicine practices. For instance, it is common practice in Germany to take complementary remedies such as herbs and homeopathy in conjunction with allopathic medicine. The World Health Organization has stated that the knowledge and use of medicinal plants is vital to providing sustainable health care to the world's citizens. Reclaiming the ancient art of home herbal care is an international public health issue. Working with the healing power of nature is what is available to us every day. Our work is to cultivate our relationship with the plant world again and ask that it be part of what's available to us for our preventive and acute health care treatment. Medical doctors don't have to become herbalists; we just need to move toward acceptance of using the plant world as a viable healing modality. Unfortunately, in the United States we are behind in this arena. This was not always the case. Back in the early 1900's the United States was an international gathering place for the training and practice of herbal medicine, hydrotherapy, homeopathy, and many other holistic treatment modalities. There were many medical colleges training people in complementary medicine. However, the Carnegie Foundation funded the Flexner Report--a report that was used to set the guidelines for medical schools to receive funding. Andrew Carnegie had strong ties with the petroleum and pharmaceutical industries, and this influenced the report, which mandated that medical schools strictly adhere to protocols of mainstream science. The Flexner Report required that colleges drop courses in homeopathy, botanical medicine, and Eastern medicine or they would loose accreditation. Holistic curriculum was labeled as "quackery." This campaign began in 1910 and by 1940 more than half of the medical colleges in the United States closed their doors as a result of the homogenization of medical schools. The medical training centers that received funding were ones that focused on training their students in the practice of using surgery or pharmaceutical medicines as the primary approaches to treating disease. We could have been developing pharmaceutical use, surgical practices, and complementary protocols together all of this time. We are definitely still recovering from this gap in training of our medical doctors. Things are changing but it is far too slow. It is fortunate that there are many people at work in recovering this knowledge and exploring our ability to combine ALL healing modalities. After all, if you have a loved one that is sick, don't you want access to every treatment possible? We must create a medical system that incorporates herbs, surgery, drugs, acupuncture, healing touch, etc. into a comprehensive program. Changing the face of medicine in this country begins in our homes. As each of us become more body literate and more knowledgeable--about how to use herbs, whole foods, massage modalities, and other holistic techniques--we need to ask our health care providers to be understanding and supportive of our choices. Our increased awareness collectively adds up and helps medical establishments evolve. Every time you take a class in how to use herbs or how to cook healthier food, you are participating in a cultural evolution that is changing the way medicine is being practiced in this country. Ten years ago you could hardly find a physician with whom you could comfortably discuss the idea of taking herbs and supplements. Today the environment of the doctor's office is a little more sympathetic to complementary and alternative medicines. (Although I still hear many stories where someone is told not to use complementary medicines simply because the doctor isn't skilled in the techniques.) I recommend working with a doctor that is open to alternative modalities, and with whom you are comfortable sharing everything. There is no longer reason to be in the care of someone who does not support your choices regarding your health care approach. You are the curator of your health. You are in charge. If you are offered a medication that has a whole host of side effects, it is up to you to seek out holistic alternatives. Empower yourself and help revive the civic art of herbal home care for everyday aches and pains. As each of us develops a greater understanding of the body and how to heal, we move forward in creating change in how healing and medicine is approached overall. Infusing our homes with the ancient knowledge of medicinal plants is one of the antidotes to the problems with the current medical paradigm. It is the real day-to-day experience of healing ourselves that holds the key to a more comprehensive medical system. If you are at all interested, take a class and learn the basics of home herbal care or how to use acupressure for common ailments. Here in California, we live in a Mecca of holistic healing, with abundant educational choices. As self-healing skills become part of the general home experience, we change as a culture, and our everyday approach to health and medicine becomes more sustainable. Kami McBride has helped thousands of people learn to use herbs in their daily lives in ways that are healthy, safe and fun. She teaches classes in herbal medicine and women's health. For a schedule of classes or herbal consultations Kami can be reached at (707) 446-1290, or sign up for her free herbal e-newsletter at www.livingawareness.com.